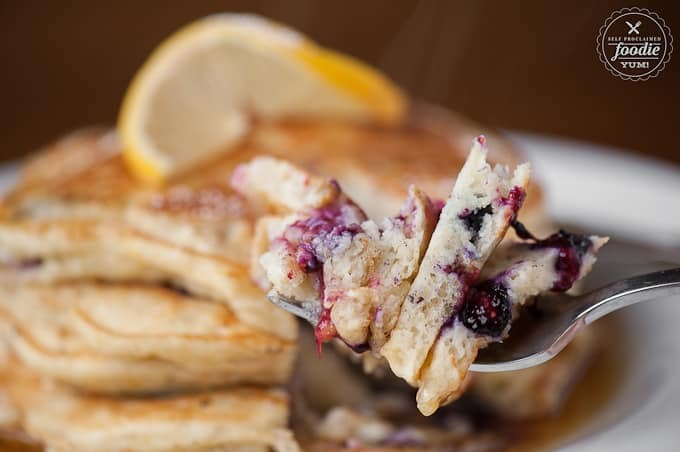 Start your morning off right with the most fluffy and flavorful Lemon Blueberry Buttermilk Pancakes with warm maple syrup for breakfast. YUM! 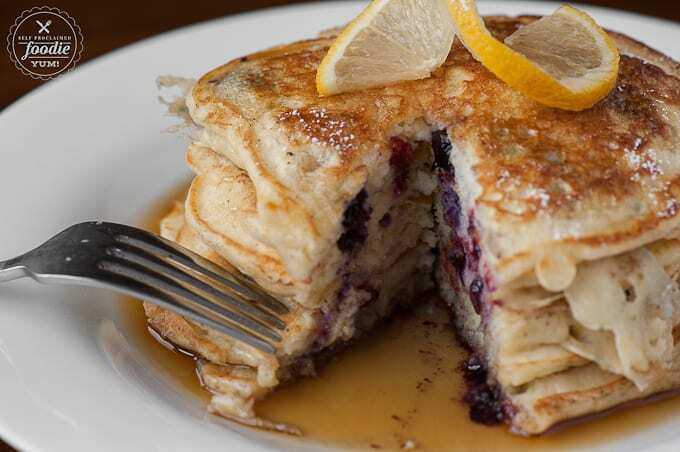 These pancakes are divine. 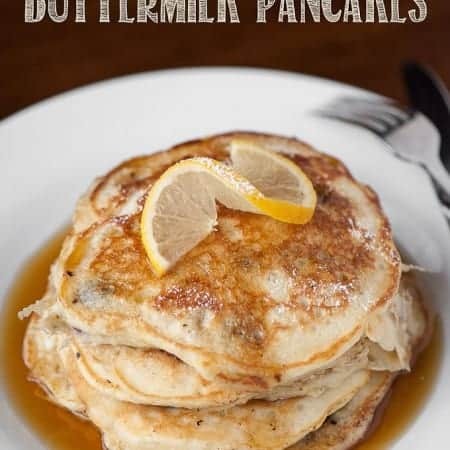 They are so soft and fluffy, they might throw you for a loop because they’re not quite like the typical pancake you mix together for the kids. They are almost like a souffle. They are so insanely delicious, however, you will find yourself craving them at all hours. The strong lemon flavor comes from the lemon zest. I like to use a lot. 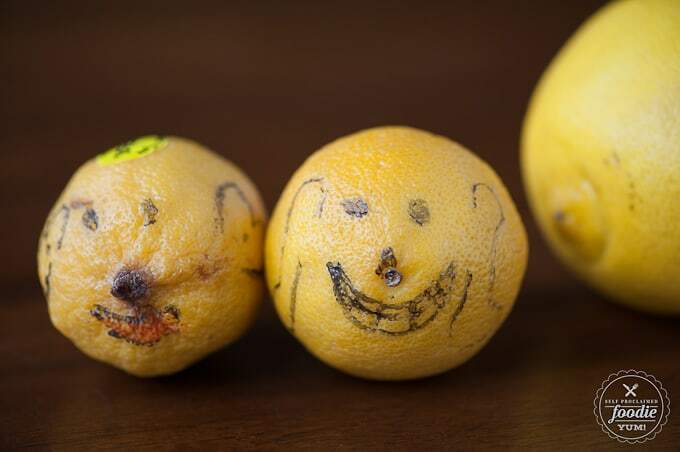 Now, if you have kids who like to get their hands on the lemons to make funny faces with a Sharpie, you might have a hard time using those lemons for zesting. Fortunately, I had a really big lemon that was not vandalized by the children. This super big lemon sacrificed its most outer layer for the sake of my pancakes. I was truly grateful. 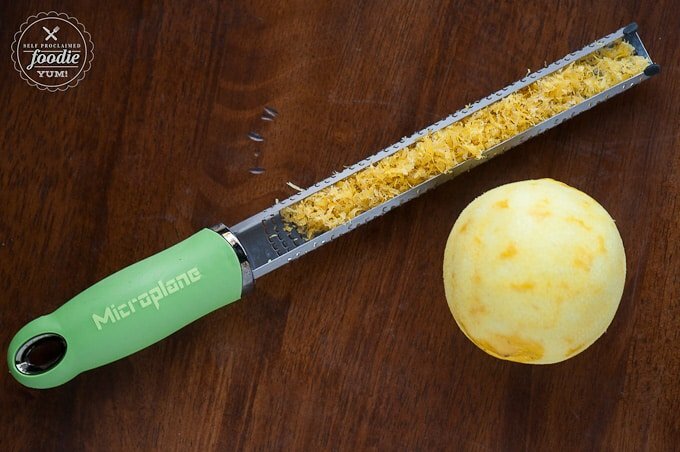 If you don’t have a Microplane , I insist you go buy one now. 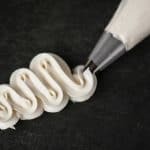 It is seriously one of my most favorite kitchen tools. I have the wider one for making parmesan “snow” too. 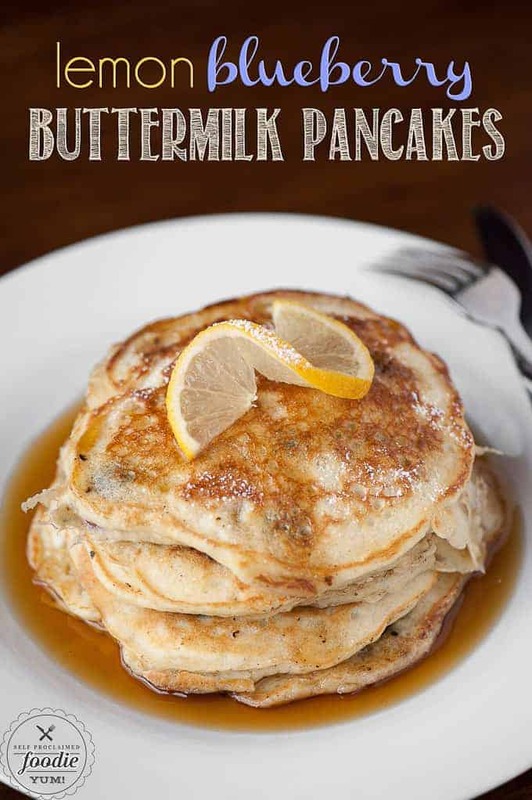 I have a few tips and tricks to making these pancakes awesome, in addition to the basic recipe. First, be sure to use butter rather than oil on your grill. It makes the edges nice and crispy. Low and slow is best in my opinion. This is how your pancakes can cook through and get golden brown without burning. If the bottom cooks a whole lot faster than the middle, they will be difficult to flip. I also pour the batter, then set the blueberries on top, then dot them with additional batter. This keeps them directly off the grill so that they stay inside your pancake. You don’t need all that blueberry goodness exploding all over your grill and burning, now do you? The result, my friends, is an exquisite pancake. If you’re strategic with your blueberry placement, which I am because I’m a bit neurotic and OCD about these things, every bite will have the exact right proportion of blueberry. Can you see the little specs of lemon zest? 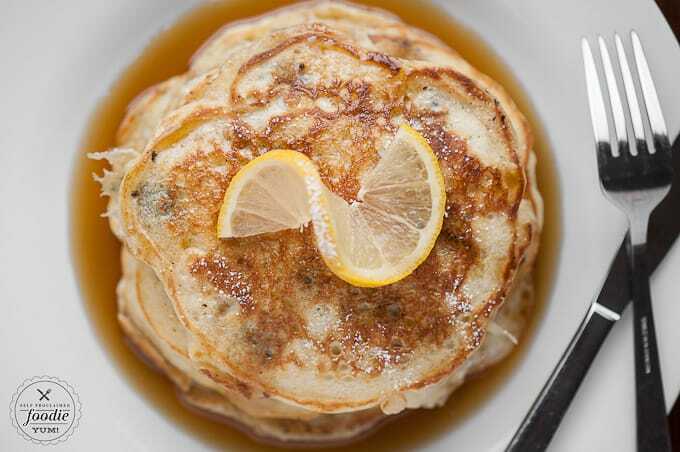 These pancakes a definitely a little piece of heaven that your family will love. Grease hot grill with butter. Use as much as your heart desires. Place large spoonful of batter onto grill. 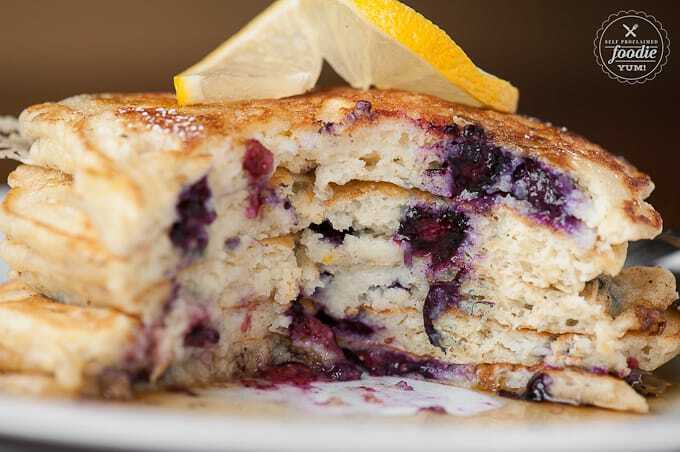 Top each pancake with 8-12 blueberries, then dot the top of each blueberry with a bit of batter to prevent the pancake from sticking to the grill after you flip it. Do not flip until the pancake has lots of bubbles and the bottom is a golden brown. Flip only once and do not smash down with your spatula. Serve with pure maple syrup. YUM! This is my favorite batter! 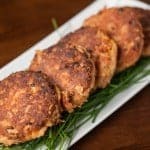 I make these ahead of time and freeze them! 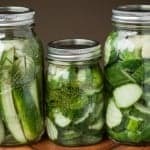 Can the dry ingredients be prepared in bulk? 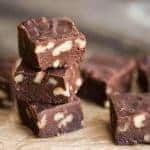 It would cut down a bit of time when making them for our toddler to just add wet ingredients. What would the ratio of the prepared ingredients be to the wet ingredients? Hi! You can definitely prepare the dry ingredients in bulk ahead of time. As far as ratio, I have no idea because I would just make the recipe in it’s entirety. Hope that helps?